Hi, I'm Chuck Taft. Welcome to my profile! 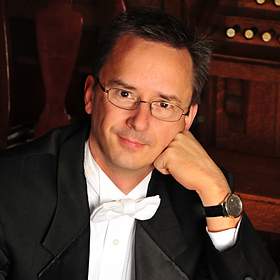 Chuck Taft, living in Asheville, NC, is one of Western North Carolina’s hardest working music directors/conductors. A near-native of Western North Carolina, Mr. Taft is blessed to have many outlets for his multifaceted talents in music and education. His passion for life and his belief that all can find expression through music is contagious. On any given day, one can find Mr. Taft moving from the classroom to the stage, from the lecturer’s podium to the conductor’s stand, from the teaching studio to the recording studio, from the rehearsal hall to the worship assembly. Worship and Ritual, Musical Theatre, leadership development, etc.